Give the Hyundai Genesis a new, HID-styled look by upgrade the stock lighting with GP Thunder Halogen Bulbs. The GP Thunder Halogen Bulbs gives the Hyundai Genesis upgrades the stock light bulbs with a higher light output. If you are looking to upgrade the halogen headlamps on the Hyundai Genesis, but don't want to spend the money to buy expensive HID kits, then the GP Thunder Halogen Bulbs are perfect for you. 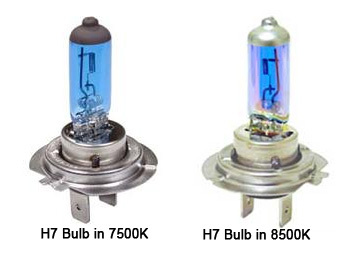 This is the simplest lighting upgrade that will give your car that Xenon/HID styling that you are looking for. The GP Thunder Bulbs are available in 7500k and 8500k color temperatures so you can choose the best styling that you want. Besides adding that extra styling to the Hyundai Genesis, the GP Thunder Halogen Bulbs provide a stronger light output compared to the factory halogen lights, creating added night time driving safety. With the higher light output, you will be able to spot road hazards and obstacles in your way easier and sooner, keeping you and your passengers safe.